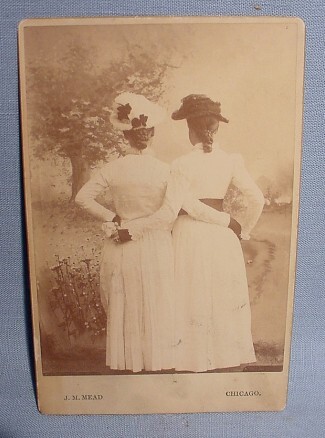 My folks, Antiquips, recently listed this antique photograph of two ladies with their backs to the camera. Aside from just being an odd pose (especially when photography was more of an event than it is today), and so a way to define or refine your photograph collection, does anyone know if the pose has any other significance? See more antique photos with people posing with their backs to the camera here.